Hillary just might be the slickest LIAR of all time…THIS is one of the most frustrating things about her. You can feel, see, and hear her lying through her teeth…yet SOMEHOW she has gone unscathed by all if it and continues to run for President! Well…it looks as though her time on stage maybe coming to an end. We’ve been told this before, but this time…it feels real. In an interview with Newsmax TV, Texas Republican and former House Majority Leader Tom Delay told host Steve Malzberg that his sources said the FBI was ready to indict Hillary Clinton for her mishandling of confidential information on her private email server. 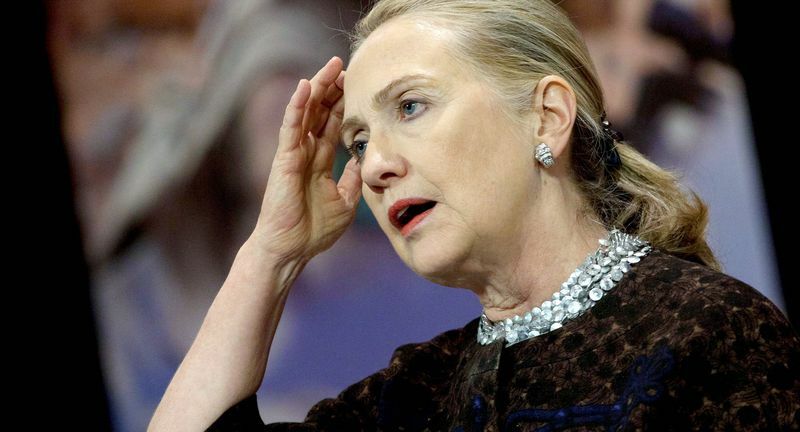 Delay’s comments come after plenty of furious speculation as to what might happen to Hillary over the investigation of whether or not she knowingly handled classified information on her private email server. This is one of those times where it’s pretty disappointing that liar’s pants don’t really catch on fire…BUT sounds like the FBI is on a mission for justice, I’ll take it. If you would like to watch the interview yourself, you can watch it by clicking HERE, the remarks about Hillary Clinton begin at around the 4:30 mark. Enjoy!